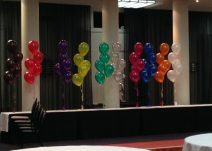 Staggered bunches of 28cm latex balloons. 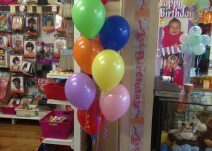 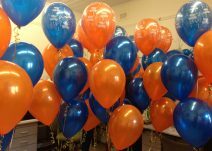 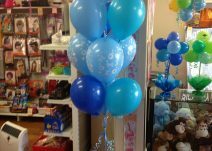 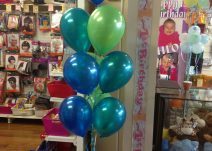 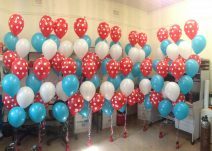 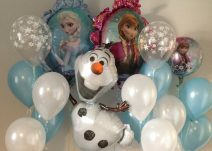 You can choose any colour balloon combination (standard, pearl, or metallic) with ONE printed balloon at top, tied to a weight (floor or table height). 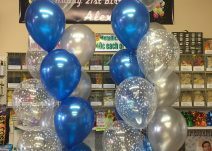 If using own weights, deduct $1.50. 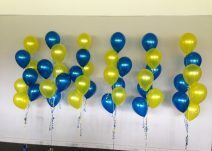 If no printed balloon, deduct $1.00.